Bombings by radical Islamist sect Boko Haram, and the retaliatory attacks have dominated the headlines in Nigeria for the last couple of months, preoccupying the nation, and governors are requesting a fund to be able to cope with the added security needs, and to be able to have their own state police who would answer to the governors. Governors Monday canvassed for a special fund to cater to financing of operations of the police and other security agencies, especially in the Northern Nigeria where Boko Haram has unleashed a reign of terror. The governors, rising from a meeting of the Nigeria Governors’ Forum (NGF) that ended in the wee hours of yesterday, urged the Federal Government to set aside the special fund as a way of addressing insecurity in Nigeria. They also reiterated their demand for state police to help them fight crime in their domains. In a bid to make their input in the constitution review process, the state governors also agreed to engage the National Assembly and speakers of their respective Houses of Assemblies to ensure that issues such as the review of the revenue allocation are addressed. NGF Chairman, Mr. Chibuike Amaechi of Rivers State, who read the communiqué issued at the end of the meeting in Abuja, said: “State governments are currently overstretched in funding security and called for a special intervention fund from the Federal Government, especially to the states that are most affected. The forum also reiterated its commitment to convene a conference on security in Nigeria. 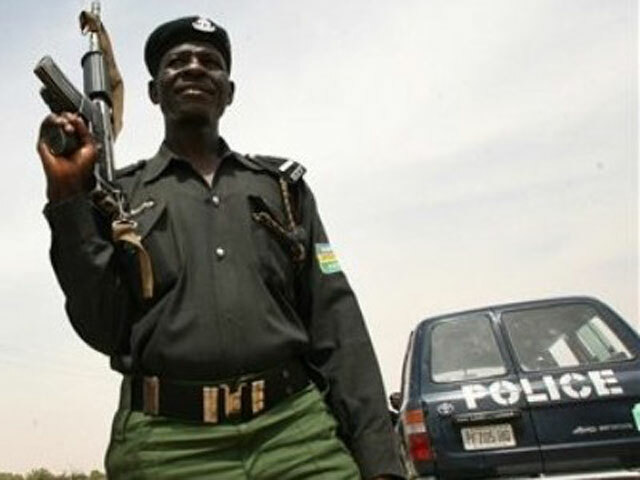 The forum, at a meeting in April, had called for the empowerment of governors so that they could assume control over commissioners of police in their states as a means of enhancing security operations in their jurisdictions. Amaechi also said the governors, following a briefing from the National Security Adviser (NSA), had reiterated the need for closer cooperation between the states and the Federal Government in addressing security challenges. He also stressed the need for the governors to be given the necessary power to enable them to effectively perform their duty as the chief security officers in their respective states. One of the governors who spoke to THISDAY on the details of the meeting said: “We (governors) buy arms, uniforms and operational vehicles for the police in the states. Everyday, you read about the vehicles we purchase and fuel for the police. According to him, if states had control over police, the current insecurity occasioned by the Boko Haram terror attacks in the North would have been contained. Ekiti State Governor, Dr. Kayode Fayemi, who later fielded questions from reporters, justified the need for the demand for state police, saying, “It is not that we are not talking, we are talking individually. He pledged the cooperation of the governors to President Goodluck Jonathan’s administration, adding, “Beyond partisan affiliations, we all must work with the president to ensure that we rescue the country from every impending doom that might arise as a result of insecurity that is raging all over the country,” he said. Giving more insight into other issues discussed by the governors, a governor from the Southern part of the country said in addition to matters of security, the governors also agreed to engage more with their speakers of their respective state Assemblies and the National Assembly on the constitution amendment. Areas he said they would be focusing on included the push for the review of the revenue allocation formula as well as opposition to grant state Houses of Assembly financial autonomy. He added that the governors had also resolved to make one more attempt to reach an out-of-court settlement with the Federal Government on the issue of the Excess Crude Account and/or the Sovereign Wealth Fund over which the states had instituted a lawsuit against the legality of either account at the Supreme Court.